Our Itinerary Builder makes it easy for you to put together a travel plan for your client. Itineraries are fully customizable and include popular phrases in local languages, embassy information, maps, and currency exchange rates. Create itineraries with an easy to use, point and click Itinerary Builder. Everything is fast and intuitive, and the system does most of the work for you. Enter the relevant information, and let the system do the rest. 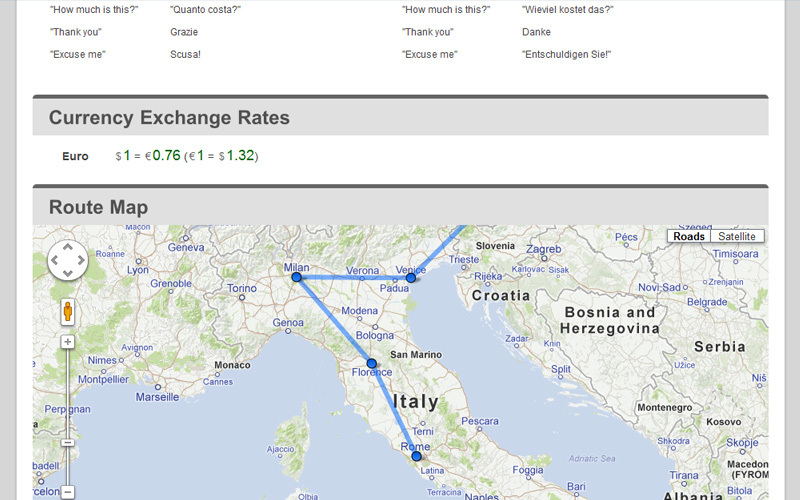 Common phrases, a route map, embasssy info, and your agency's logo are automatically included. 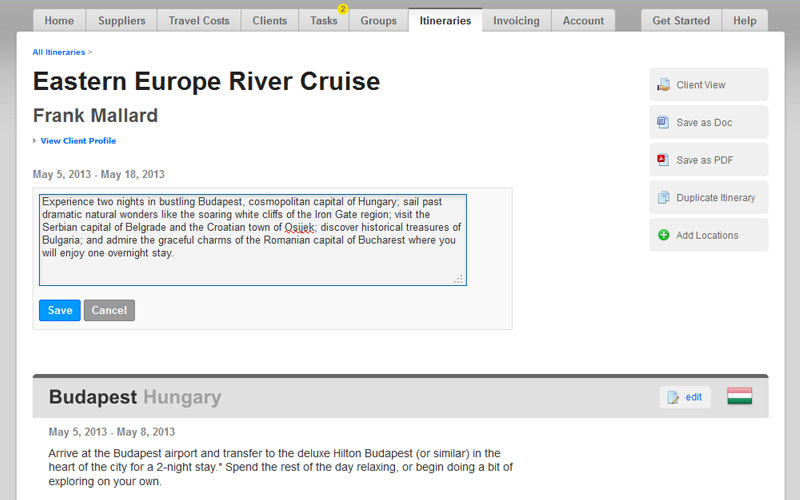 Share itineraries with your clients in various ways: online, as a Word document, a PDF, or printed. The Itinerary Builder is included in our Pro plan, available for $15 per month. Click and edit everything at any time. Creating and saving is fast and easy. Come back later with more information; everything is organized by client. The Itinerary Builder automatically includes important information such as currency conversion rates, embassy information, common foreign phrases, and a route map. Now you can focus on what you do best, and let technology save you time.